A great introduction to the new language with songs teaching: greetings, alphabet, counting to 12, about vowels, consonants, telling time, animals, food, parts of the body, family members, colors, opposites and much more! Packaged with a reproducible lyrics book. 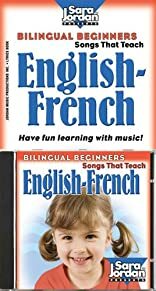 We also recommend the companion reproducible resource book, Bilingual Kids: English-French, Beginners enhancing what has been learned in the songs. About Marcie Marie-France (Author) : Marcie Marie-France is a published author of children's books. 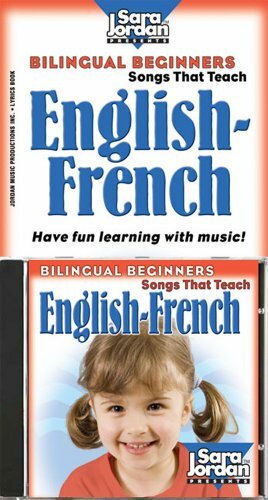 A published credit of Marcie Marie-France is Bilingual Beginners English-French Cd / Book Kit (Songs That Teach French).